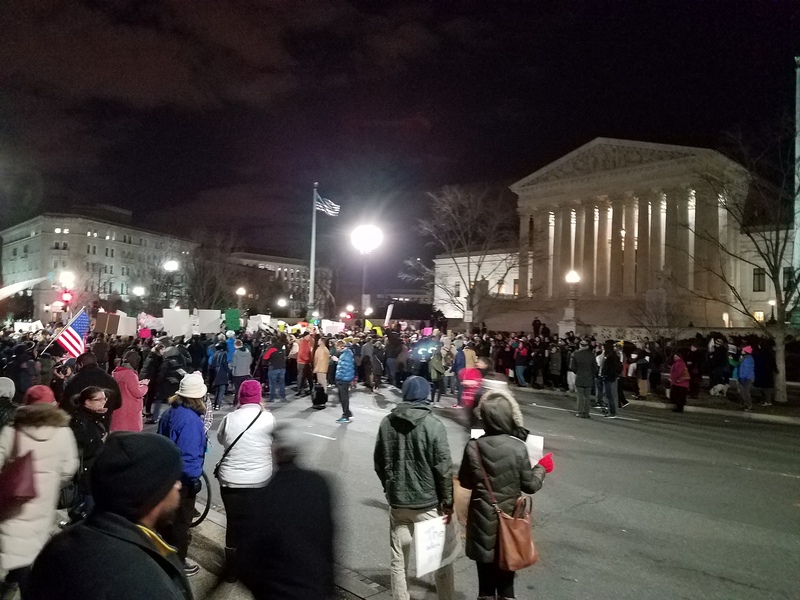 Following are photos of activities Monday night and tonight in front of the Supreme Court. Last night, protesters gathered to express their objections to Trump’s executive order banning Muslim refugees and immigrants. 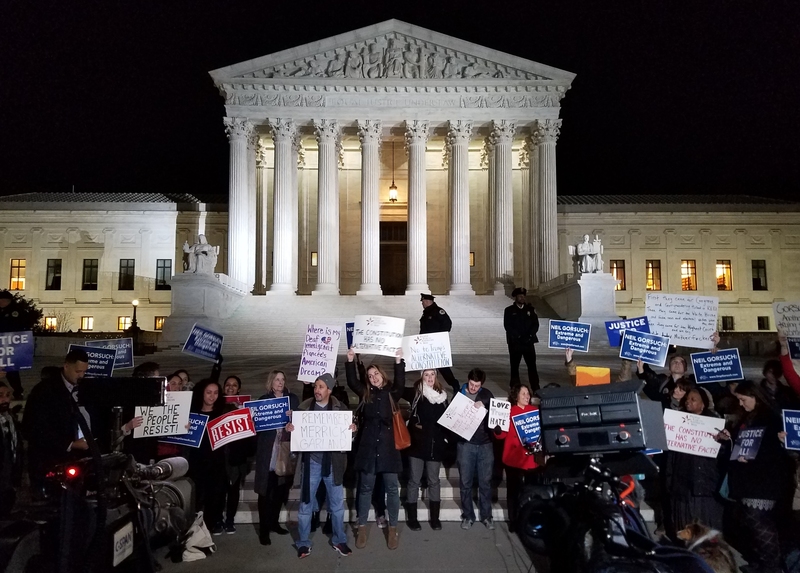 Tonight, protesters gathered to take advantage of the live television camera set up on the sidewalk in front of the Court as reporters awaited Trump’s announcement of his nomination to be an Associate Justice of the Supreme Court. 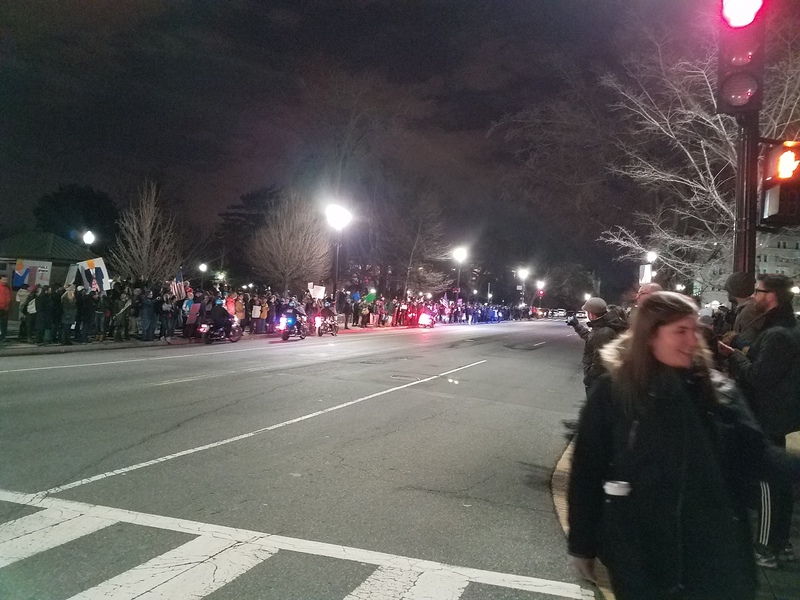 Monday night, circa 7:50pm, an orderly crowd protesting Trump’s executive order banning Muslims confined itself to the sidewalks, encouraged by US Capitol Police on motorcycles, who circulated to keep the streets clear. Until circa 7:30pm, when the protesters decided to take the street. 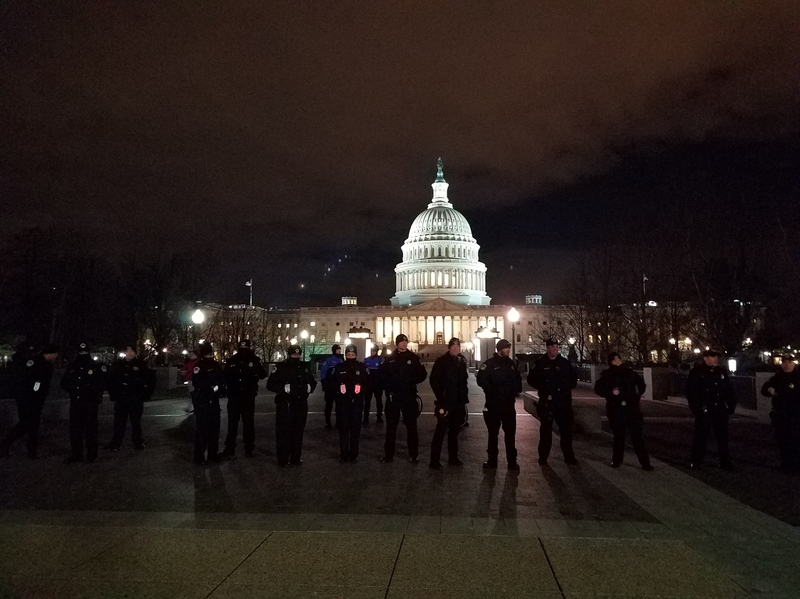 US Capitol Police were ready to resist any move to occupy the plaza on the US Capitol’s East Front as had happened the day before. Tuesday Night. 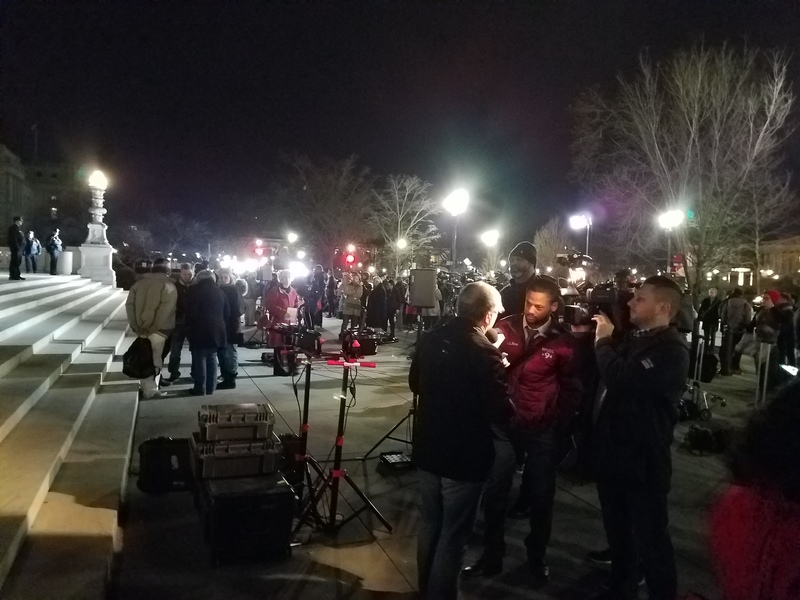 20 television cameras set up in front ot the Supreme Court, as reporters awaited the announcement of Trump’s nomination to the Supreme Court. Protesters took advantage of the presence of television to voice their objections. 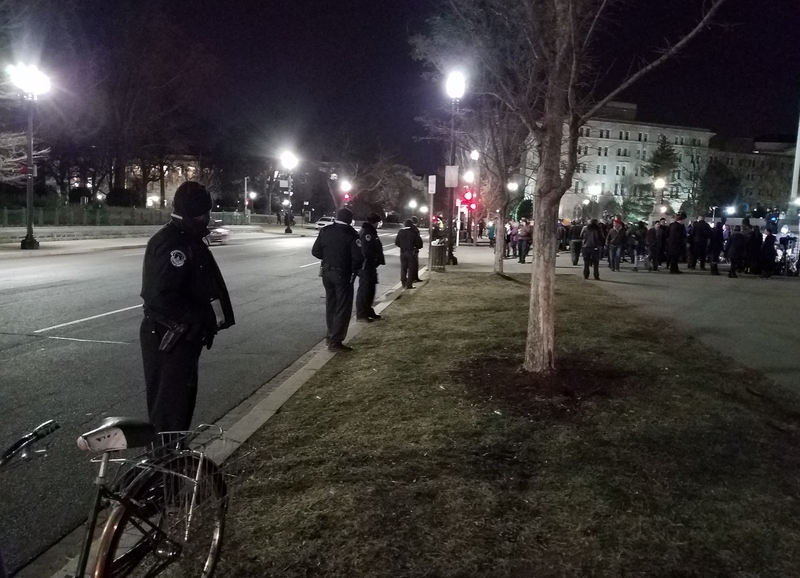 US Capitol Police, at the ready – this time – to keep protesters out of the street.